As a sponsor, you make a huge impact by giving a child access to a quality, Christ-centered education. Do you know what else makes a lasting impression on a student at The Esther School’s life? Letters from their sponsors! We want to share more about letter-writing, from both a sponsor and student’s perspective. We interviewed a sponsor of six years, Gay Stronks, and one of her sponsor students, Cecilia (grade five), in order to see what made writing letters so important to them. Hear from our sponsor, Gay! Why did you become a sponsor at The Esther School? I was on the first North American work team at The Esther School. There, I was convicted that God’s hand was in the project and I looked for ways to participate in His work. Sponsorship is one of them - probably my favorite one! How many times do you write to your sponsor student? 4 - 5 times per year? What is your favorite thing about writing letters? I try to be conscientious about what I am not allowed to write about - that forces me to really focus in on the life of my sponsor children. I love to think about them. I try to imagine their life and what they may be experiencing, at school but also at home, in their emotional and spiritual life. And this, then, leads me into prayer for them. Of course, another favorite thing about writing letters is receiving a response! How has writing letters impacted you? Writing letters creates relationships. For me, the relationship includes love. I love those children. And so, I feel the joy of that love and also the burden of that love, and the responsibility that both the joy and the burden bring. What are your hopes and dreams for your sponsor student? I wish for them to find their way in their community as leaders and encouragers, to be faithful and to grow in faith, to demonstrate the love of God to everyone, and to peacefully participate in bringing God’s kingdom to earth through love and through lives of integrity. 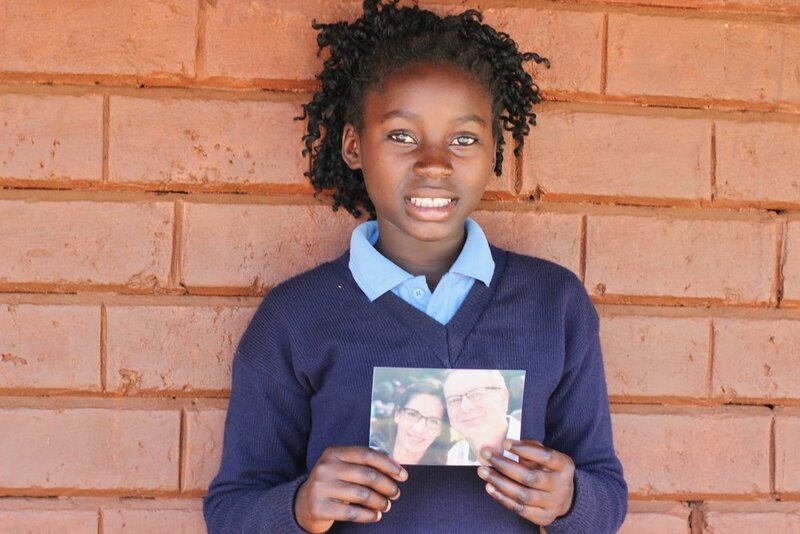 Now, we’ll hear from Cecilia, a grade five student, on her take on receiving and writing letters to her sponsor. Why do you like writing to your sponsor? When you receive a letter from your sponsor, how do you feel? I feel happy, glad and surprised. What are some things your write to her in your letters? I tell her my favorite bible verses and that I am praying for her. If you could tell her something now, what would it be? I would tell her I’m praying for her every day and every night and pray that God is with her family. And that I love her. Writing letters is one of the greatest ways you can impact your sponsor student. Your words and prayers have the power to bring laughter, joy, and encouragement to your student! We see it in their smiles and excitement as they read a letter and see picture of their sponsor. Plus, you will be encouraged and blessed by the words and prayers of your student! We encourage you to keep writing. If you haven’t started yet, it’s ok! It’s never too late to send a quick message (and picture) to your student. We included a “Letter-Writing Guide” below to help you take your first step or next step in building relationship with your sponsor child. As always, thank you for the life-changing opportunity you are giving a child through a Christ-centered education!